Yesterday, March 19, the RCMP Underwater Recovery Team was successful in locating the vehicle. Tragically, both missing teens were located deceased. The conditions were difficult and the recovery operation took a significant amount of time to complete. The cooperation of the Dam authority, BC Hydro, helped the operation in lowering the water level. The BC Coroners Service has been notified and will also be investigating. As the RCMP continues the investigation, we are asking anyone who may have witnessed the vehicles driving prior to the crash, witnessed the crash, or saw the group of teens just prior to the crash to contact the West Kootenay Traffic Services. Police with RCMP West Kootenay Traffic along with Trail and District RCMP Detachment attended to a single vehicle crash on Seven Mile Dam Road near Trail on Sunday afternoon, which has likely resulted in two fatalities. 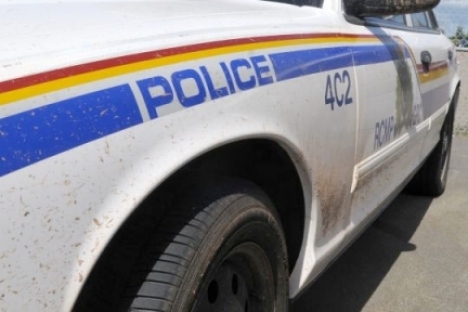 On Sunday, March 17, at approximately 4:12 p.m., members of the Trail and Greater District RCMP along with West Kootenay Traffic Services attended to a single vehicle crash on Seven Mile Dam Road near Trail. A Volkswagon Beetle driven by a female from Salmo, drove off the road at a curve, went down a steep embankment, and into the Pend d'Oreille River. The driver and front passenger, a 15-year-old female from Warfield, managed to get out of the submerged vehicle and to the surface, but two other occupants did not surface. A 15-year-old male and 18-year-old female both from Fruitvale are missing and presumed deceased. Sergeant Chad Badry with the RCMP West Kootenay Traffic said, We are asking drivers to avoid the area while the RCMP continue to investigate the cause of this tragic crash. The BC Coroners Service has been advised.